Typically you don’t expect much from a free software and when it comes to working with PDF formats, you almost always want to purchase a full version software. The PDF24 software however differs from all others in this respect by being a completely free for use program that can not just show pdf files but also edit them as and when required. A simple plug-in helps in using this program with your website as and when required. Hate having to search for important files? 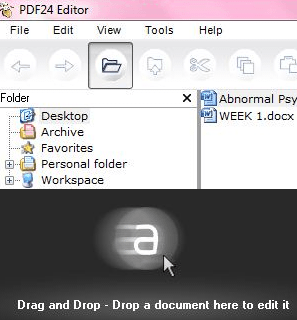 This program opens up a dialogue box showing all available documents presently on your desktop that you can then drag and drop as required to help convert them into PDF format. There are many things you can do with PDF24. All its capabilities are neatly arranged under a simple drop down Tools menu. With the options you can save profiles, convert existing documents into PDF and even create self-signed certificates for your files. You can directly edit existing PDF files in this program and in between keep track of your progress by using a simple preview option. 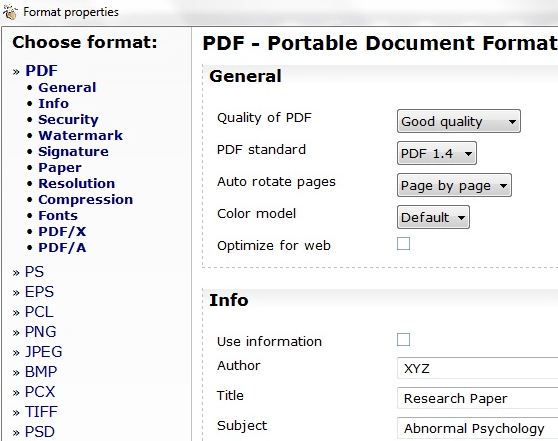 PDF24 brings the power of word processing to the world of PDFs. Creating a new PDF document is easy and when it comes to saving it, you have lots of choices. Everything from the security options to watermarks can be tinkered with as you like and add as many user information as you want. If you have multiple word files that you want converted into a single PDF then use the Merge option in PDF24. This is one feature that many paid versions of PDF programs tend to miss out on. Faxing: PDF24 can fax to exchange important documents with colleagues and family members. It is available directly within the program. Configure Your Viewing Experience: Want to change the preview size or the way a document is viewed? Maybe you wish to add a few extra page numbers, change or remove them. All this is possible and simple with this program. Landscape and Vertical Layout: Depending on how you wish to see your document, you can either choose to switch from vertical to landscape view or keep it as such. Complete Package: PDF24 is not another pdf viewer, it is a complete pdf solution that lets you edit, work, save, convert and share documents. Got too many files on your system or on your website? If you want to see only specific types of files then PDF24 lets you do this through the View menu by changing existing interface preferences. With this option you can decide to view only pdf files. The Help section gives access to lots of information such as update, release notes, basic info and a direct link to the homepage online for the PDF24.